Loose your tie and find a nice color sweater to wear under your jacket. No look for the Carolina’s during summer time, but hey, it does get chilly here as well! This is a great combination when you want to look relaxed but still show some style. For an even more leisurely look, pair your suit with a polo shirt. 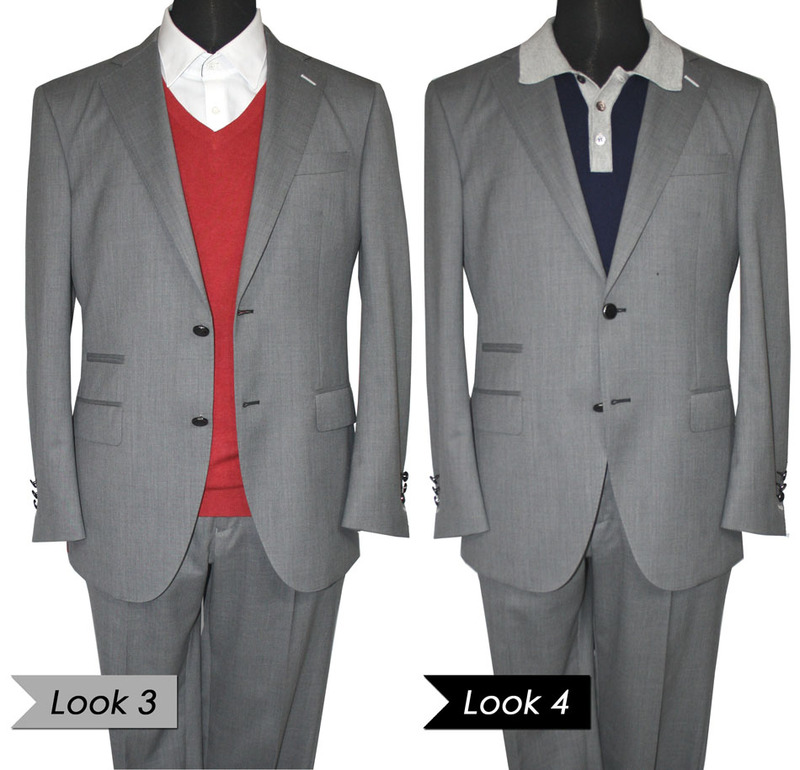 Make sure the colors go well with the grey suit fabric, but other than that feel free to combine your heart out! Finish the look with (white) sneakers and you are ready to conquer the weekend. Next week we’ll create even more relaxed looks to rock your grey suit! Stay tuned!